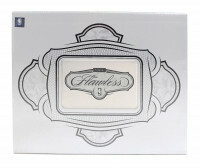 Factory Sealed 2017/18 Panini Flawless Basketball Hobby Box 1 Pack Per Box, 10 Cards Per Pack. Im Schnitt gibt es 7 Autogramme, 1 Memorabilia Card, dazu eine weitere Memorabilia Card oder Autogramm Card, sowie 1 Diamond Card ! 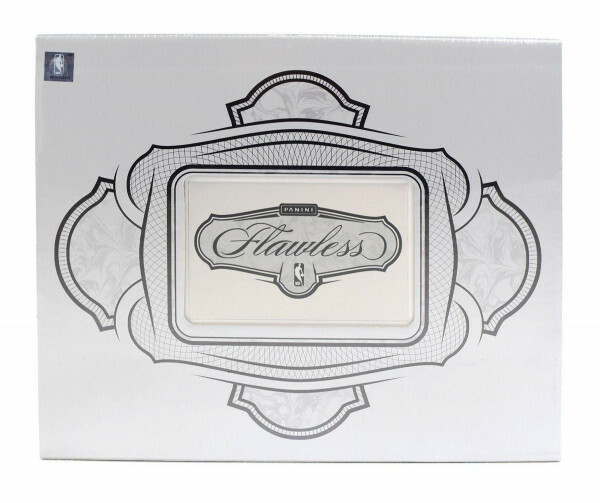 Produktinformationen "2017/18 Panini Flawless Basketball Hobby Box NBA"
Every autograph is signed on-card and feature a plethora of top-tier veterans, legends and rookies! Pull super-prime Logoman and Championship Tags, as well as the iconic Dual Diamond Memorabilia Logoman! Look for rare diamond card subsets in Triple Double, Top of the Class, Most Valuable and Champions - all limited to 5 copies or less! Find oversized autographed memorabilia cards in Star Swatch Signatures, Horizontal Patch Autos and Vertical Patch Autos! BASE/BASE DOUBLE/BASE TRIPLE: Multi-diamond base cards return for 2017-18, delivering up to three diamonds paired with one of the NBA's very best! STAR SWATCH SIGNATURES PLATINUM/HORIZONTAL PATCH AUTO GREEN/VERTICAL PATCH AUTO GOLD: Look for oversized patch autographs that feature substantial swatches from the NBA's best and brightest stars! 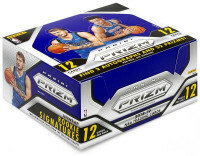 PATCHES GOLD/HONORED NUMBERS/LOGOMAN AUTOGRAPHS: Pull autographs and prime memorabilia swatches from a variety of NBA legends! New in 2017-18 - chase autographs exclusively from players who had their jersey number retired in Honored Numbers! Dieses Produkt kann Redemption Cards enthalten, die nur direkt bei Panini USA unter www.paniniamerica.net eingelöst werden können. Weiterführende Links zu "2017/18 Panini Flawless Basketball Hobby Box NBA"
Fanbewertungen für "2017/18 Panini Flawless Basketball Hobby Box NBA"